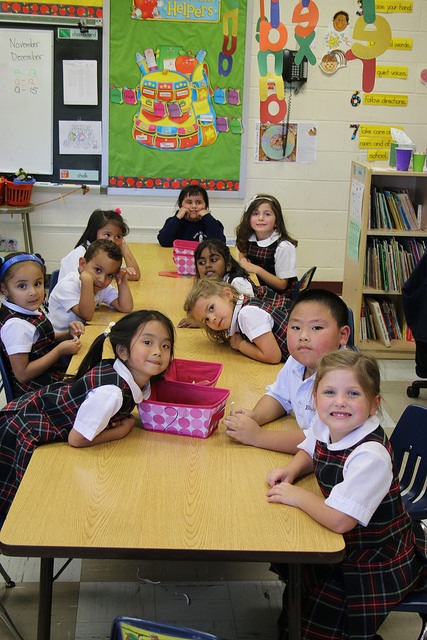 Saint Elizabeth Regional School community, through a total commitment to Jesus Christ and the teachings of the Catholic Church, strives to foster the practice of Christian values of Christ. This enables parents, students, faculty, staff, administration, and clergy to realize that we are called to live the Gospel values and fulfill the realization of God’s plan through action and service. Viewing the parents as the primary educators of their children, they are invited to take an active part in their child’s education by being involved in the stewardship opportunities available to them. There is a striving for open, honest, and harmonious communication with parents, students, and teachers. Together we accept new challenges in the faithfulness to our vocation, sharing common human experiences, and working diligently to build the Kingdom of God. 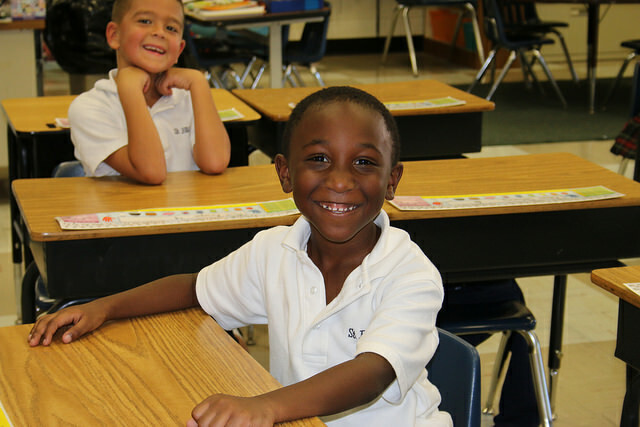 As Catholic school educators, we strive to instill in our students a positive attitude toward leadership and citizenship. Each individual student is encouraged to be appreciative of their uniqueness as a gift from God, which fosters self-awareness, self-confidence and self-responsibility. As we prepare students for their entrance into the world community, we see the need for the imparting of academic knowledge. By providing our students with an atmosphere that will inspire them to be lifelong learners, they will be enabled to maintain spiritual, mental, and physical fitness throughout their lives. Administration and faculty implement the policies and curriculum recommended by the Diocese of Allentown, Department of Education. Evaluation of curriculum and assessment of student liabilities is an ongoing process, which incorporates formal and informal methods. This process has as its goals, not group norms and standards, but an opportunity to allow each student the means to self-measure personal achievement. In the spirit of the Mercy tradition, a personal relationship with Jesus is at the heart of our vocation as educators at Saint Elizabeth Regional School. In response to God’s love, the community ventures to provide a quality education for the children entrusted to them, so their learning will be relevant now and in the future.